Lamar Jackson had to wait until the end of the first round, but the Baltimore Ravens seem to have secured their quarterback of the future. There might not be much for Jackson in 2018, but it’s possible Joe Flacco might not return in 2019. That gives the Ravens a full season to get their new guy ready to lead the team. Collectors have picked up on this and Lamar Jackson cards are selling for top dollar right now. The only players from the 2018 draft that are currently selling for more are Baker Mayfield and Saquon Barkley. At the moment, the average price for Lamar Jackson autographs are in the $175 to $300 range. Part of that is scarcity. Jackson was a little late to the game in terms of cards. If you want an autograph card of Jackson you can only find them in 2018 Classics, Luminance, and the recently released Elite. The quarterback’s signature isn’t in Elite Draft Picks or Contenders Draft Picks. They’re also absent from early-season NFL releases, 2018 Score and 2018 Panini Majestic. 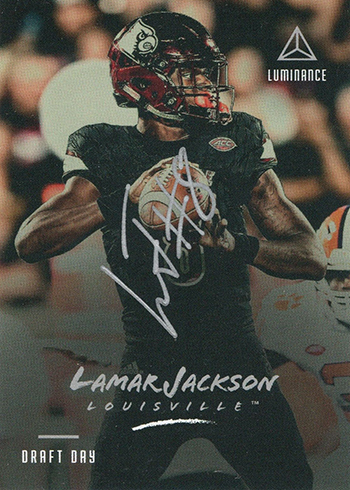 There are currently 19 Lamar Jackson autographs cards in the Beckett Online Price Guide, and they are all scarce. In Classics, his autographs are numbered to 20 or fewer. 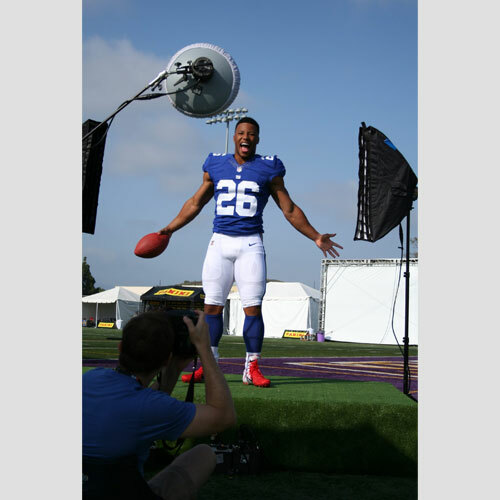 He only signed for the Draft Day Signatures sets in Luminance. It’s still too early to say for certain, but his Elite Pen Pals cards may also be short prints. There are sure to be more autographs to come. They will most likely command lots of attention as well. Jackson’s presence in the hobby, at least when it comes to autographs, started just like his pro football career did — a little later than most. Where is the upside in paying $300 for a Lamar Jackson auto? Unless he ends up as good or better than Aaron Rodgers or Peyton Manning or Tom Brady, you are not going to profit. Far more likely is that Jackson washes out completely within a couple of years like many others or is just a run of the mill starting QB on a 5 win team. Or, since he’s not dead, he goes on to sign 50,000 other things throuought his lifetime devaluing your much beloved 300 dollar autograph.